Beautiful rocking primitive chair in wood. 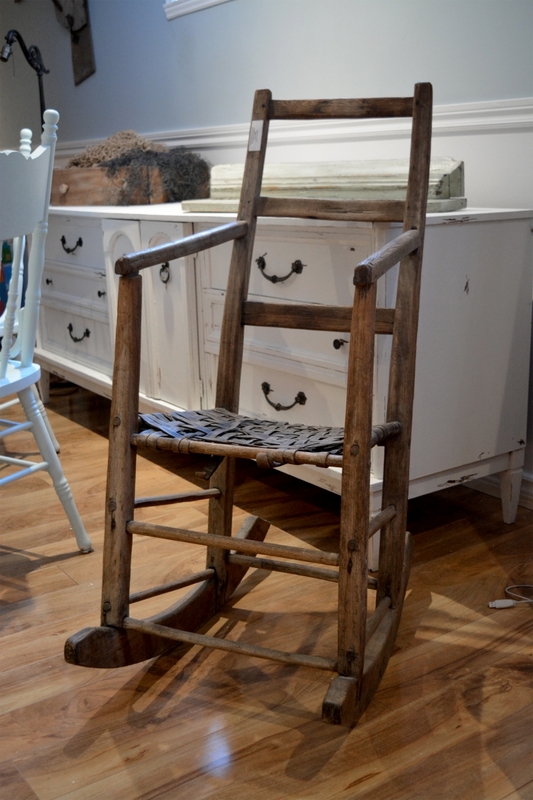 This antique rocking chair from Quebec offers always practical and comfortable swinging. 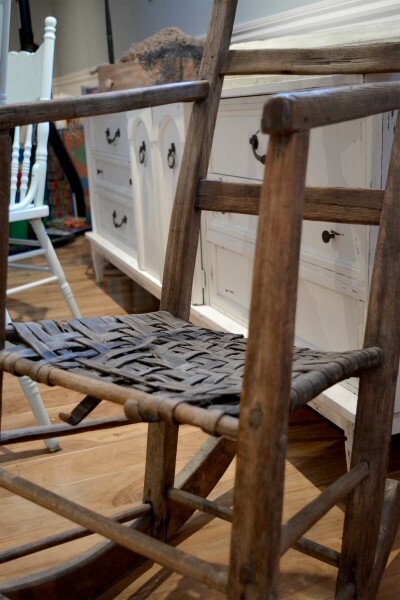 This rocking chair dates from approximately 1800 and has a beautiful stamp. 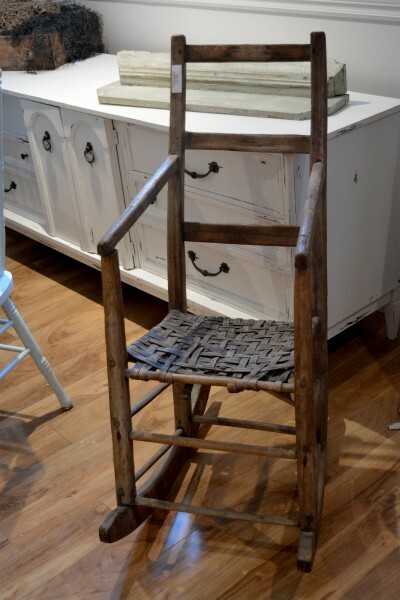 Tall, narrow back, which suggests that this chair was a woman. 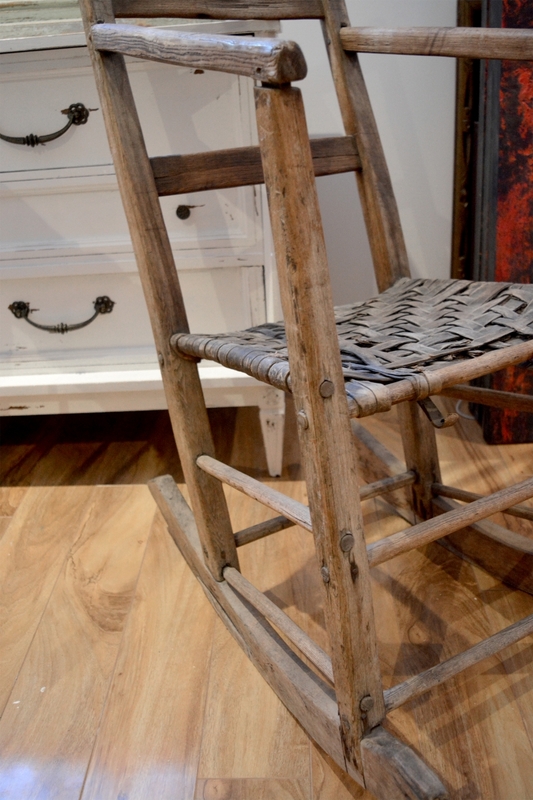 Beautiful old typical rocking with its bark base.